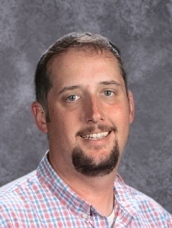 My Name is Jason Wallace, Agriculture Teacher at Dickson County High School. I am a 2000 graduate of McEwen High School, where I was active in the FFA and played varsity baseball. I obtained my Bachelor's Degree in Agricultural Education from Tennessee Tech University (#wingsup) in 2005. I served as a State FFA Officer from 2001-2002. I received a Master's Degree in Educational Leadership from Arkansas State University. I enjoy teaching Agriculture, as it is our nations oldest and most important industry. I have a deep passion for the FFA and the impact it has on students' lives. My classroom goals include teaching you what you want to be, what you don't want to be and how to be a productive citizen no matter your chosen career. I still live in Mcewen, with my lovely wife and two wonderful children. My hobbies include hunting, fishing and farming.